With Valentine’s Day quickly approaching, those of us who aren’t in relationships that’ll include roses or romantic restaurants are left to consider our independence singlehood. Some can embrace it and defy the conventions of the “holiday.” Some can choose to treat themselves and celebrate the life of a bachelor. Or, some can choose to be bitter, grab a box of chocolates, and compare each one to a failed past relationship/hook-up/awkward in-between encounter. So, grab a drink and a red cellophane wrapped box of CVS chocolates, and indulge in the bittersweet moments of your romantic past that have led you to this moment. Refer to this guide if you’re unfamiliar with the types of chocolates in the variety sampler boxes. Coconut – Biting into this one, you can’t help but be left with an aftertaste of Malibu Rum. You hearken back to the days of waiting in line on Wriston to find yourself smacking face with someone who lives down the hall. Indulge me with a toast to freshman year hookups. “Messenger Boy” – This is just the plain piece of milk chocolate. Haven’t we all had that one person who’s just plain bland? Sure, they’ll answer your poorly spelled text message at 2 a.m., but when you’re eating breakfast at the Ratty the next morning, you realize they’re as dry as the toast on your plate. Almond Nougat – While it looks like all the other chocolates, this one is “a bit longer and more squared than anything else.” As you eat this one, you remind yourself to pat yourself on the back to the one time you hooked up with the person of your dreams. They’re the one you brag about to your friends when sharing saucy stories. Cherry Cordial – You either like them or you don’t. With a center of a overly sweet glazed cherry, you can’t help but remember the clingy relationship. Now, as you’re halfway through the box, you kick yourself in the foot because you let go of someone who wanted you. Another drink. Molasses Chew – Drizzled with white chocolate, this chocolate stands out from the rest. The unique decadence of this treat reminds you of your fantasy crushes. They can be celebrities (i.e. Jonathan Groff or Allison Williams) or people you not so secretly write Brown Admirers posts about. While you may not ever be with them, you can definitely have your way with this piece of chocolate. Pecan Walnut Cluster – As delicious as chocolates and nuts are together, the ‘nuttiness’ of it all takes you back to that one crazy relationship. Take it in stride and brush away troubled relationships that ended on a bad note. Caution: Make sure you spot this one out right away if you have a peanut allergy. Chocolate Whip – This is my personal favorite, and it’s a nice way to end the trip down your romantic Rolodex. It’s nice and fluffy, airy and sweet. It reminds you to take your breakups and failures lightly. Laugh about them a little. 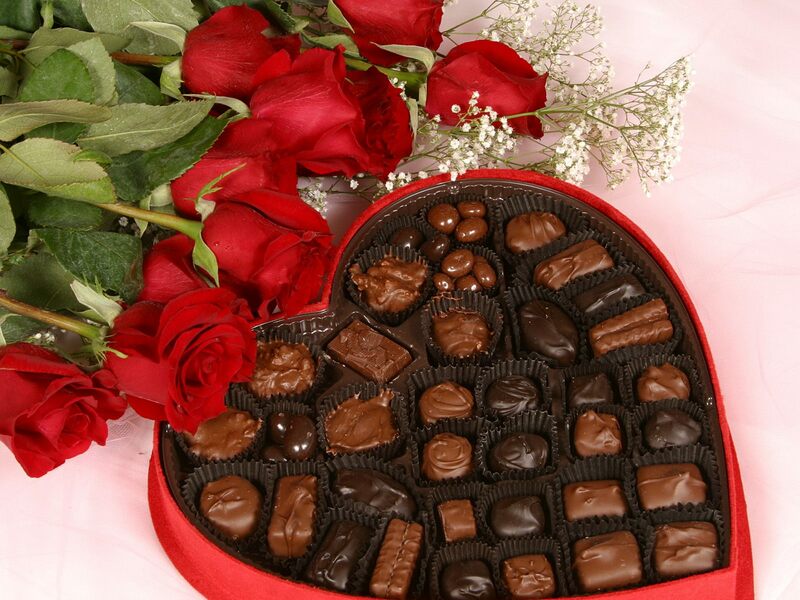 For what it’s worth, you’ve gathered a box full of chocolates stories to share and reminisce on. On second thought, I’ll pour myself another round and start on the only chocolates I got this year. Thanks, Mom.